Photograph courtesy of Preschool California. Head Start, the federal government’s school readiness program for the nation’s poorest children, has enrolled more than 25 million preschoolers since it started in 1965. Envisioned as an anti-poverty program within the Department of Health and Human Services, Head Start is the country’s oldest and best-known publicly funded preschool program. It tackles the needs of the entire family, annually serving more than 900,000 children from primarily low-income families. Traditional Head Start programs offer meals, health care, parenting classes and even job training for parents, in addition to educational activities for 3- and 4-year-olds. Early Head Start, launched in 1995, focuses on the earliest years of life and provides a different range of social services, including care for expectant mothers. With an annual budget of about $7 billion, Head Start programs provide space for only about 40 percent of youngsters whose families meet the eligibility requirement of having an income not more than 130 percent of the poverty line. The February 2009 economic stimulus package pumped an extra $1 billion into Head Start and $1.1 billion into Early Head Start, some of which HHS is using for grants to expand enrollment. Head Start centers will add 16,600 spaces for children. Early Head Start, which serves about 62,000 infants, toddlers and pregnant women, will nearly double by making room for 55,000 new participants. Head Start aims to prepare low-income children for school by improving their social and cognitive development. The Obama administration has pledged to strengthen the academic components of Head Start programs by focusing on the development of children’s vocabulary and math skills. The changes are in response to findings in a recent federal impact study that many advantages children gain in Head Start fade by the end of first grade. Although Head Start is 80 percent federally financed, its 2,600 programs nationwide are locally operated through contracts. The other 20 percent of funding comes from local and state governments, private donations, and direct services (such as dentists or lawyers helping families). Local control means quality varies widely. Some programs are stellar examples of everything a preschool should be. Others are mediocre or worse. Criminal charges – usually for embezzlement – have been filed against a few Head Start administrators over the years, adding fuel to some critics’ complaints that Head Start is poorly supervised. Another issue affecting quality is staff training. Currently, only one in three Head Start teachers holds a bachelor’s degree, a credential that some experts say improves educators’ skills. The 2007 reauthorization of Head Start requires that by September 2013 at least half of all Head Start teachers and education coordinators have bachelor’s or advanced degrees in early childhood education, and that all teaching assistants have associate’s degrees. All Early Head Start teachers dealing directly with children and families must have at least a Child Development Associate credential. Without accompanying hikes in pay, however, the new training requirements may backfire. Some Head Start teachers earn little more than minimum wage and may leave for more lucrative teaching jobs once they earn a bachelor’s degree; potential teachers may decide such low-paying positions are not worth the expense involved in attaining a four-year degree. The research on Head Start’s impact on disadvantaged children reveals mixed results. Some research has shown that the initial IQ-boosting benefits of Head Start fade over time, particularly for African-American children. More recent analyses have indicated that children who go to Head Start are more likely to graduate from high school and less likely to commit crimes as adults. 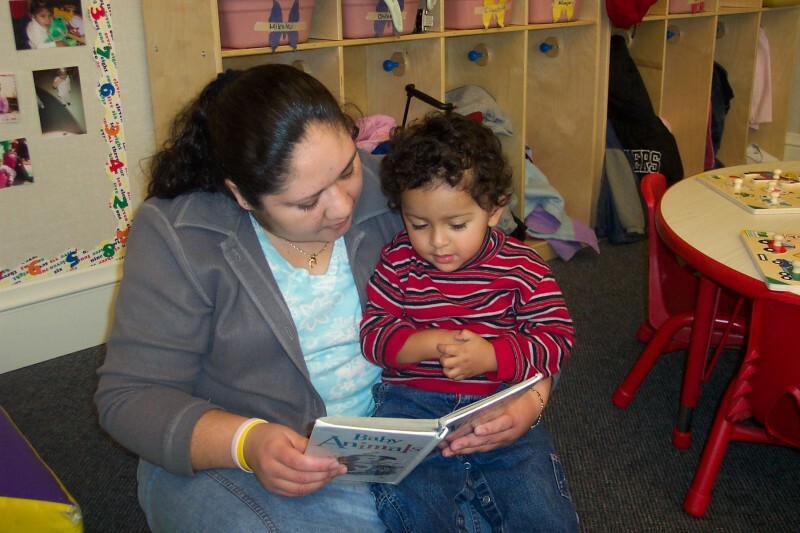 The Department of Health and Human Services’ own longitudinal evaluation of the program, the National Head Start Impact Study, which began in 2000, found that while Head Start narrowed the achievement gap for 3- and 4-year-olds in areas such as word and number recognition, it did not improve other critical abilities like oral comprehension and math skills. A follow-up report released in January 2010 found that access to Head Start positively influenced children’s school readiness after a year in the program; by the end of kindergarten and first grade, however, participants did not outperform children who hadn’t been enrolled in Head Start. Nevertheless, the study – which was not intended to measure long-term program benefits – found evidence of favorable cognitive, socio-emotional, and health impacts for children who attended Head Start, along with a positive impact on parenting practices.